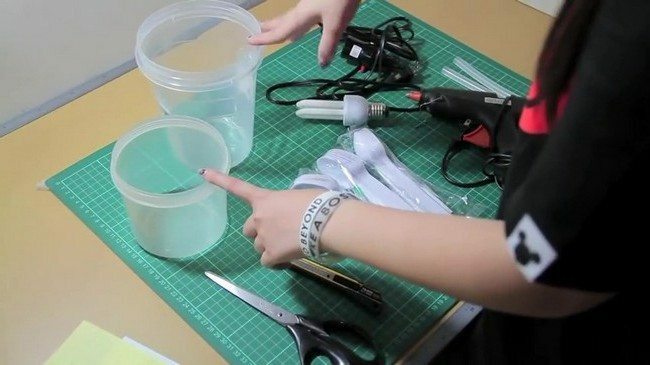 For the materials and equipment, you will need two plastic containers, a pair of scissors, a cutter, a large bunch of plastic spoons, a pair of gun glue sticks and end electrical cord.Also note that black or grey electrical cord works best. 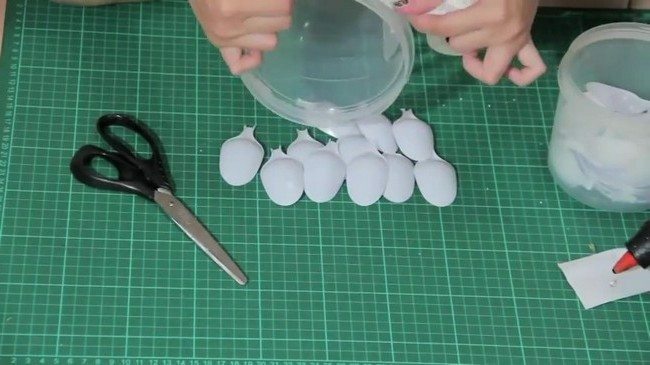 You can make use of your old plastic spoons but if you want a clean touch, you need to buy a bunch of new plastic spoons, available at supermarkets. In this project, we only use the scooping part of the spoon and not the handle, so the first step is cutting off the handle from the rest of the spoon. 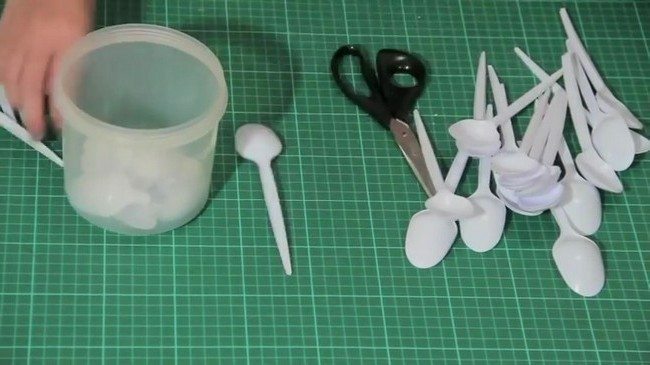 Cut the spoons using a pair of scissors, near the top part. Place the spoonheads in one jar and keep the handles separately for use in another project. 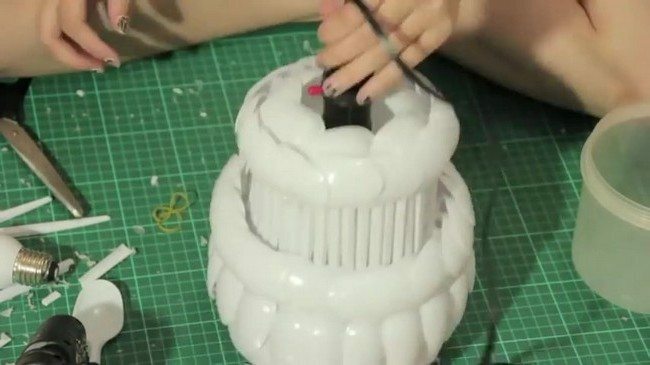 The next step involves preparing the lampshade. 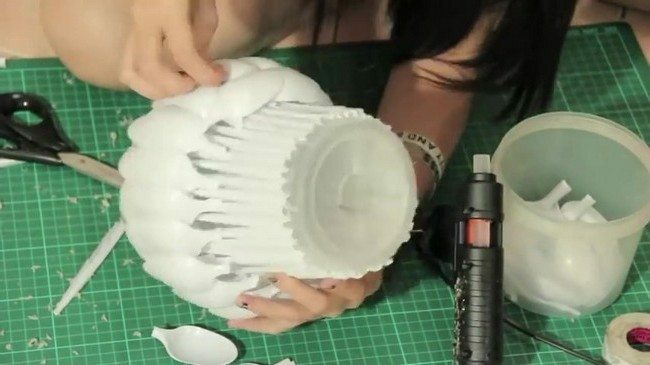 Here, you use a cutter cut out the base of the lampshade. 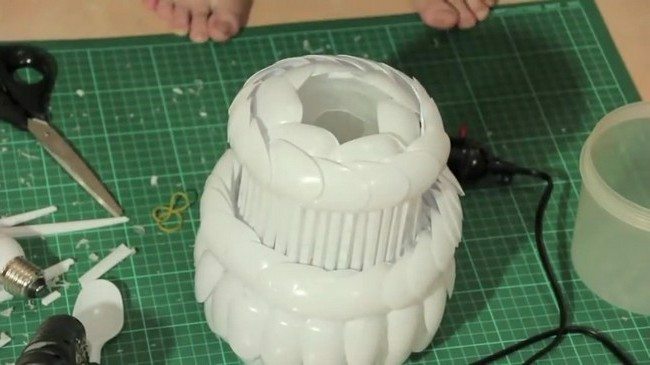 If you are not sure about the size of the hole to cut, insert the bulb every once in a while to see if it fits. It should not touch the sides anywhere. If it does not fit, you can always use a larger container. The base is the side that will be on the bottom. 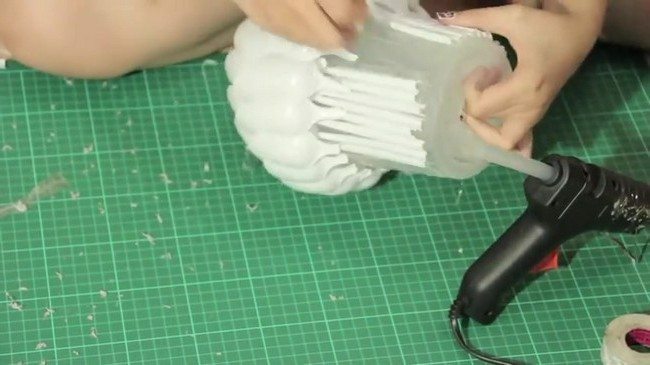 After cutting out the hole for the bub, you now try out different arrangement patterns for the spoonheads on the plastic jar. Do not be afraid to experiment; try out as many patterns as possible until you find the perfect one. 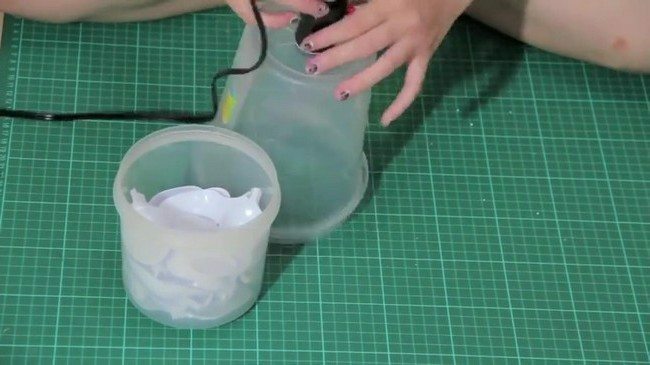 After you find a suitable pattern, place tape around the bottom of the jar. Place the spoonheads on the tape, arranging them according to the pattern that you chose. Then pile the next layer, tip first, over the first layer of the previously fixed layer. The tape is only for temporary use; to see if the spoons fit correctly. When you are satisfied with the pattern that you have tested, glue all the spoonheads together. 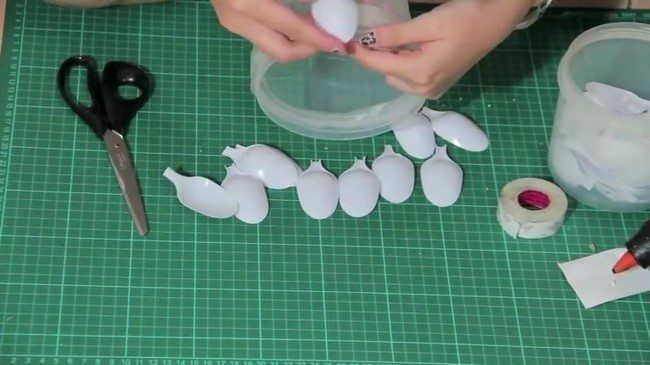 Use just enough glue so that the pattern remains neat. Work around the jar until it is completely covered. You should only see the top of the spoonheads. 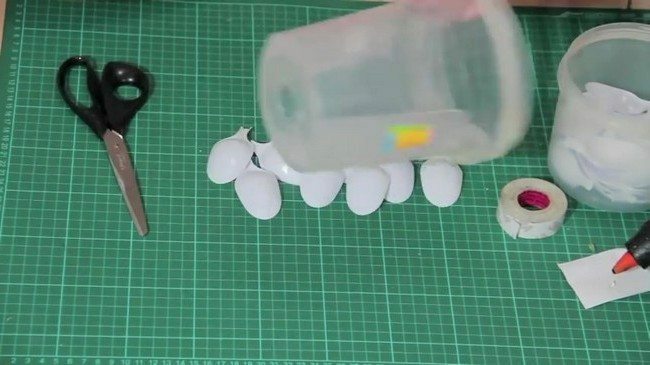 If you notice a mistake, correct it right away because it will be difficult to do so once the glue dries. You can use the handles of the spoon at the bottom of the jar. The spoonheads should be attached close together. 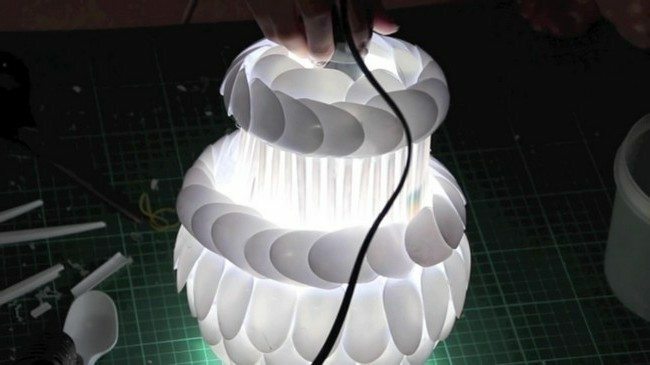 To hide the bottom area of the jar where the electrical cord enters through, cover it with a circle of spoons, facing you into the middle. 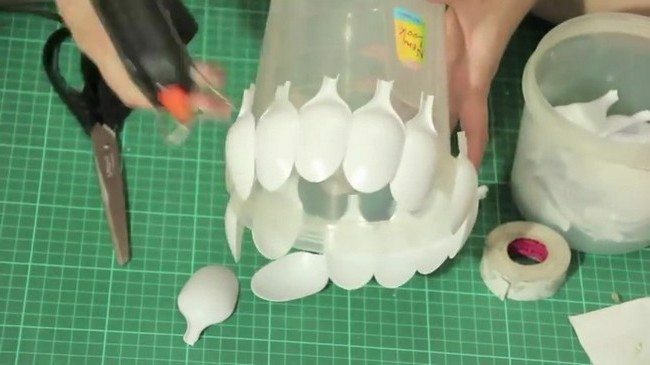 Attach the spoonheads neatly onto each other until the base is no longer visible. Now, insert the electrical elements through the hole.